A split single between Belbury Poly and Mordant Music, in which the two artists examine this small English town. Mordant Music channel personal memories of childhood summers in an ecstatic piece of pastoral electronica. Whereas Belbury Poly peep through fictional curtains at the town as the setting for a prurient British comedy. Both tunes complement each other with their own languid summer lushness. 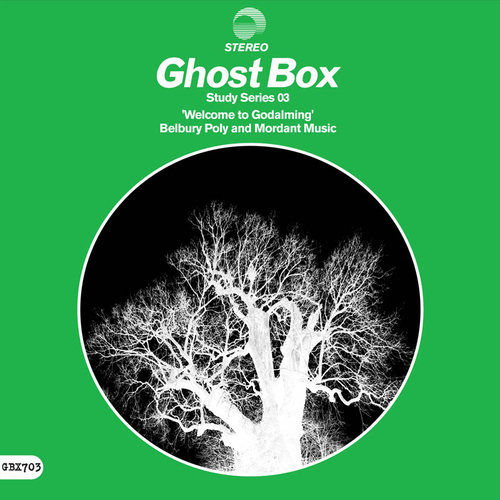 Unfortunately at this time we can't offer all the Belbury Poly and Mordant Music - Study Series 03: Welcome to Godalming tracks as individual flacs, as some of these tracks exceed the shops maximum (33.3333333333333mins) download length.